- Running one draw for participants who “Like” a post and another for those who comment on it. - Running several draws; each based on the different reactions chosen by participants, or on the hashtag they’ve used. - Running a daily or weekly draw among participants who “Like” or comment on a post. You’ll be able to exclude past winners from taking part. Important! 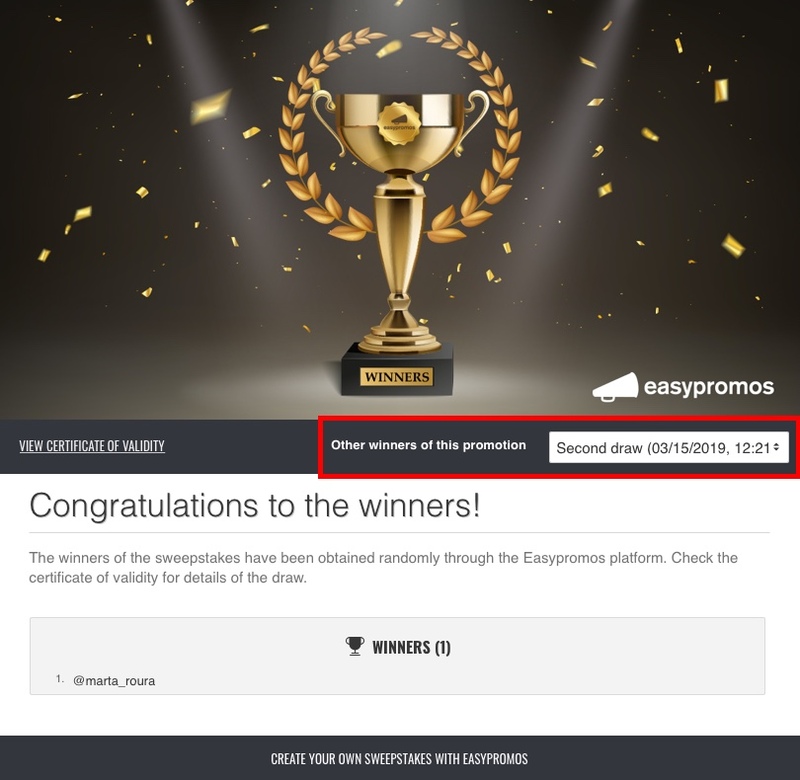 To run multiple draws from a single Facebook post you must have an active subscription to Easypromos Basic or above. The "Facebook Giveaway" app allows you to use the same Facebook post to create several draws. 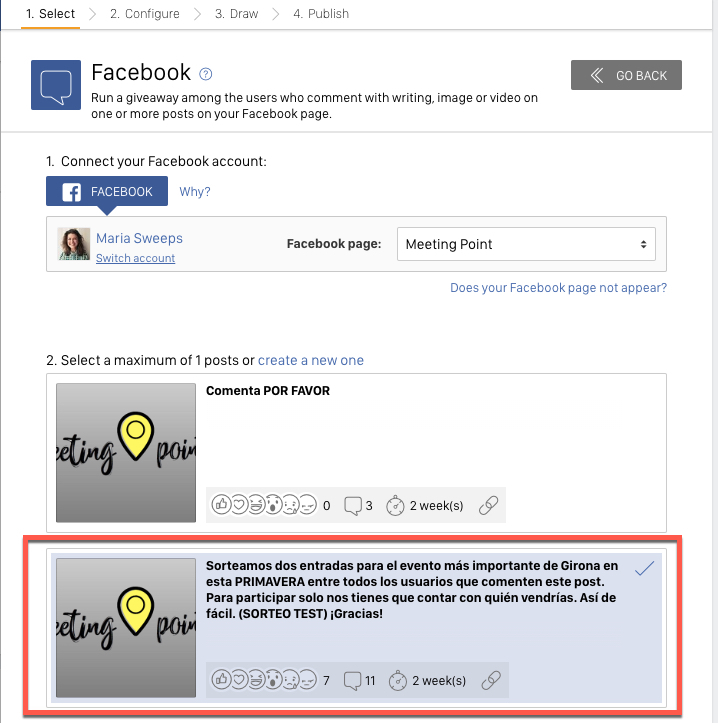 In this case, all the draws you create from the same post will appear listed on the public page of winners, where a drop-down will allow users to see the results of each individual draw that has been made. For a clearer presentation of the different draws made, you can edit the name of each draw that appears in this list. Click "Create New Promotion" to start setting up the giveaway. Follow all the steps until you get the winners and alternates of this first draw. You can follow this step-by-step tutorial. When you need to make the second draw, you must repeat the same steps, in order to re-import the sweepstakes post, which will appear again in the list of posts to be selected. Edit the title of the draw to detail that it is the second draw, and complete the entire process to get the winners of this second draw. You’ll see that all the draw are linked to a single winners page. This enables you to display the prizewinners together. From the dropdown menu, the visitor can view the winners and alternates for every sweepstakes run from the post. 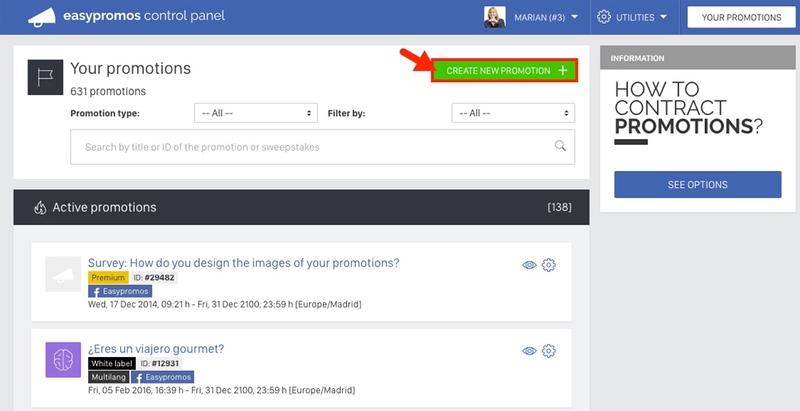 Each time you generate a draw from the same post, it will be added to the dropdown list. I want to create a Facebook Sweepstakes but I see a blank page and I can’t move forward. What can I do?